Like all of Q Acoustics’ products, the M3 arrives with a firm emphasis on build quality and performance over – in this instance – niceties like phone apps and multiroom streaming, currently the Big Things of the soundbar world. It does, however, freshen up the spec with a couple of new features. The M3’s most significant upgrade, however, is its design. If the M4 was De Niro at the end of Raging Bull, the M3 is Cape Fear’s Max Cady – toned up and slimmed down. Its cabinet is sleeker than its bulky sibling and therefore takes up less space on your TV stand. With 20mm shaved off the M4’s height, it’s less likely to obstruct your TV’s remote sensor, too. Styled in black with an angled front grille, the M3 is a good-looking soundbar, far smarter than some of the sub £300 competition. Its sturdy construction has the air of a more expensive product, particularly the heavy-duty metal stand that doubles as a wall-mounting bracket. Clutterphobes will love the M3’s self-contained design, which relies on a built-in down-firing bass driver for deep impacts as opposed to an external subwoofer. The stand leaves a gap for the woofer to shift air. Operating the soundbar is a bit basic. There’s a cluster of controls on its top panel and a Bluetooth pairing button squirrelled around the back below them. The rest of its user options are accessed using the credit-card style remote and its column of clumsy, unresponsive buttons. There’s no display integrated into the soundbar's chassis, just an LED surrounding the power button that changes colour when you switch inputs and blinks when you change volume. The top-mounted position makes it a bit hard to see from your sofa. Front-panel positioning would have made more sense, but would have hindered the bar's minimalist aesthetic. The M4 ignored HDMI completely but the M3 adds a single ARC output (and bundles a 2m HDMI cable in the box) allowing you to pipe sound over a single cable and control volume using your TV’s remote. HDMI is joined by optical, 3.5mm and analogue phono inputs, with a USB port provided for firmware updates, but not media file playback. Like the M4, the M3 uses dual Balanced Mode Radiator drivers, known for their wide dispersion characteristics, and a 4in x 6in woofer. With BMR drivers onboard, the M3 should be less fussy about positioning and all but eliminate the notion of a sweet spot. Joining apt-X Bluetooth and NFC device pairing on the specification sheet is a range of EQ settings that optimise the sound for different scenarios – in-furniture, on-furniture or on-the-wall – which can be selected using a switch on the back. 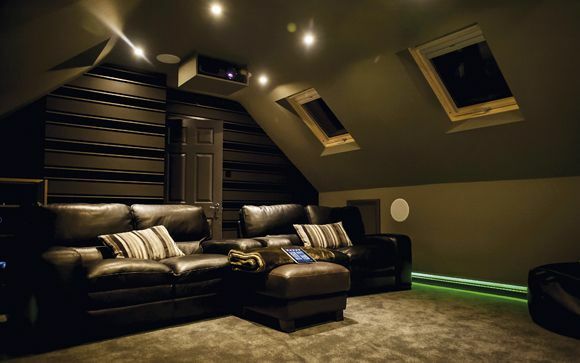 The in-furniture setting offers the flattest response and is therefore the best ‘all-round’ option for those who frequently flick between movies and music. But movie fans are catered for by the MoviEQ adjustment, which boosts bass to give blockbusters extra punch. With ‘in-furniture’ selected and MoviEQ off, I settled down in front of Captain America: Civil War (Blu-ray) and reveled in the M3’s clarity. Detail pours from the speakers as the Avengers chase Rumlow’s goons through Lagos; machinery and machine-gun fire have a crisp top-end click, while the disease lab’s shattering windows sound crystal-clear. This open, detailed sound draws you into the scene. There’s an ease and effortlessness about the M3’s audio. There are no spiky edges or overbearing frequencies, just a well-balanced, full-bodied sound. But it’s not too laid back either. The brutal fist fights that pepper the movie have attack and impact. You want scale? That's on offer, too. The BMR drivers generate a sizeable soundstage, while the bass driver lends impressive weight to the explosion at the UN complex. The boom is big and well controlled, and doesn’t outstay its welcome. Bass is well-handled, with good agility in the rhythmic soundtrack that underpins the Lagos chase and a subtle thud behind every punch and gunshot. That said, even with MoviEQ activated the M3 doesn’t quite deliver the thunderous, neighbour-bothering bass of an external subwoofer, or even the fuller tones of Q Acoustics' M4 for that matter. This soundbar's big brother manages an even more potent sound for only £30 more, although you’ll need to make room for its bulkier cabinet. The soundstage is well organised. It doesn’t get flustered or congested when there’s lots going on in a soundmix and remains composed when you push the volume high, save for a little overexcitement in the midrange. Voices are textured and come through with terrific authority. One thing the M3 doesn’t do, however, is envelop you in sound. Effects spread beyond the edges of the screen, but the action is very much confined to the front of the room. If you want convincing surround sound try one of Yamaha’s digital sound projectors with associated beam driver technology, or perhaps set your sights on an authentic 5.1 setup. The absence of an encompassing soundstage won’t matter – for most people – with TV shows, which sound great through the M3. Dialogue is clear and articulate, while theme tunes take on unexpected gravitas thanks to the subwoofer’s added depth. The M3 nails the brief of sounding much more refined, authoritative and clear than a typical TV's in-built speaker array. The soundbar is also an excellent music player, and not just by the standards of its product category. With its outstanding clarity, easy-going tone and agile bass, it’s not hard to imagine using it as a day-to-day hi-fi system, albeit without the benefits of hi-res streaming. Songs are packed with detail and high-tempo tracks zip along with infectious drive and energy. Although Q Acoustics' M3 doesn’t quite live up to its illustrious predecessor, its sophisticated sound, smart, premium design and smattering of features make it easy to recommend. The asking price is unlikely to deter buyers. Yet the question remains: are you that much in need of HDMI ARC, a slimmer enclosure and a £30 saving to ignore its more impressive sibling? We say: It may fall short of the standards set by the majestic M4, but the M3’s slimmer design and smooth, powerful sound make it an impressive soundbar at a great price.